If you’re a medical professional, you need to check Laurel Road student loan refinancing rates before refinancing your loans. If you owe a bunch of student debt from dental, med, veterinary, or pharmacy school, you’ll probably find that they’re in the hunt for your business more times than not. Laurel Road has beaten other lenders by a long shot in certain cases. One dentist emailed me a few months back after refinancing his $500,000 of student loans before he discovered this site. He checked his rate with only one lender and had no idea about cash back bonuses or how easy it was to check his rate at multiple lenders. After applying with Laurel Road, he shaved off almost 1% of interest by refinancing away from his first lender. Even if you’ve already refinanced, remember you can still apply again if you find a lower rate. I’ll cover who should take advantage of Laurel Road student loan refinancing rates, what makes them special, and who might get a better deal at another company. Many of you have heard of DRB, aka Darien Rowayton Bank. Laurel Road and DRB are one and the same. DRB is a medium-sized bank in the northeast that offers multiple different financial products. A while back, their website was not super impressive compared to the online startup lenders offering a sleek user experience. They also have multiple kinds of financial products and I think they wanted to create a brand that would be specifically tailored to student loan refinancing for doctors and digital lending. Hence, they launched Laurel Road as a division of DRB in June 2017. Everything you used to know about DRB applies to Laurel Road because it’s the same company. What is Laurel Road and Why Should You Consider Refinancing Student Loans with Them? Is refinancing medical school loans a good idea? Laurel Road is one of the biggest student loan refinancing companies for physicians and other professionals in the country, so they’re a reputable firm to do business with. In contrast to some of the other names you might’ve heard about, Laurel Road is a bank. That means they’re subject to different regulatory rules, have a different culture, and are likely going to be a bit tougher to close a loan with than some other companies. I’d rate them in the middle of the pack in terms of how easy it is to apply and close a loan with them. The reason you’d want to go with Laurel Road is if they offer the lowest interest rate. 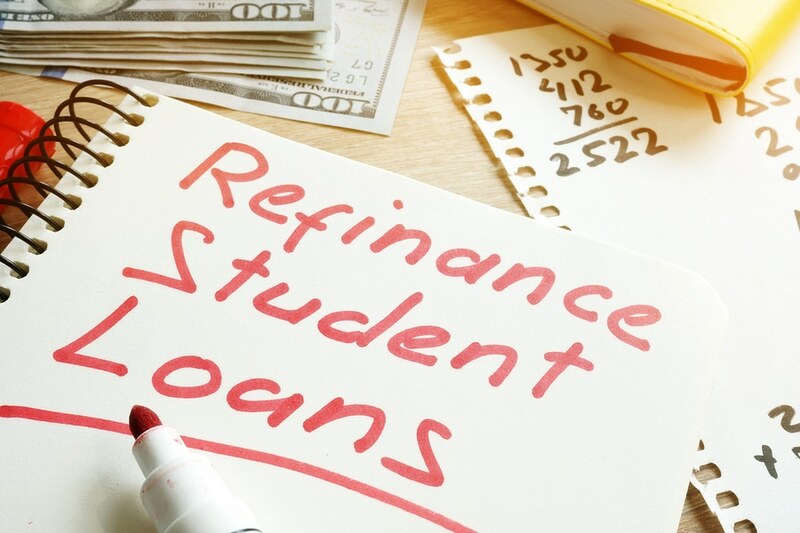 I’m a believer that student loan refinancing is a commodity and you should go with the company that offers the best combination of easy experience, low rate, and solid cash back bonus. If you apply with Laurel Road and decide to fund a loan with them, you’ll get a tiered $300 to $750 student loan refinancing bonus by going through that link. The only exception would be if you have a better deal available to you from a professional society membership, in which case they’d apply the higher bonus. That’s a lot better than $0, which is what most borrowers get when they refinance. Here’s the details on how the tiered bonus with Laurel Road works. I’ve noticed a recurring pattern that Laurel Road is dominant in the 15 and 20-year fixed rate term offerings. I normally wouldn’t want you to refinance student loans with that long of a repayment period because I believe you’ll pay too much in interest. That said, keep in mind you can always refinance the loans again once you’ve paid a lot of the debt down and can qualify for a lower interest rate with a similar monthly payment. That’s possible because a 15-year term monthly payment on $400,000 might be similar to a 7-year term monthly payment on $200,000. Also, refinancing medical school loans with a long-term gives you a smaller payment. A $300,000 dental school refinancing at a 5.25% rate with a 15-year term would be $2,412 a month. If you started off with a 7-year fixed rate at 4%, then the monthly payment would be $4,101 a month. Which monthly payment would look better a practice lender? The lower one of course. If you have a big purchase in the near future like a home or business, then going with a longer-term refinancing with Laurel Road could be a fantastic match at least for the first few years. Laurel Road has decent variable rates, but with so much interest rate action at the Federal Reserve, I believe you’ll be best off with fixed rates unless you’re paying the loan off in less than three years. I’ve also heard feedback that dentists and physicians with complex private practice income statements have an easier time verifying their income with Laurel Road than some competitors. One big advantage that Laurel Road has as a bank is offering deposits with a low cost of capital. That allows them to access funds much cheaper than online lenders that have to ask for money from investors. Banks pay depositors much less than institutional investors can command. Hence the bank has a bigger margin to work within what rate they set their loan at. I think banks tend to like long-term medical school debt. After all, they often make big mortgage loans or business loans lasting 10 to 30 years. That’s one reason why I think Laurel Road tends to show up well when you’re looking to refinance with a low monthly payment. A bunch of new competitors have sprung up and want to refinance your medical student loans at a lower rate when you’re a resident or fellow. However, many haven’t lasted. While I’m always of the opinion that you should shop around, Laurel Road invented residency and fellow refinancing for dentists and physicians. Keep in mind that I’ve written before why you should probably not refinance as a fellow or a resident because of the REPAYE program’s interest subsidies, it can occasionally make sense. If you make too much money to get subsidies on your interest, have private loans with a high-interest rate, or your spouse earns a lot and you’d like to keep the loans in your name, then refinancing while still in training can be a smart thing to do. That’s particularly true if you’re worried about rising interest rates in the economy. If you do a medical student loan refinance as a resident with Laurel Road, they’ll let you pay $100 a month until you’re done with your residency or fellowship program, then they’ll expect normal monthly payments. The interest accrues while you’re in training, so you don’t have to battle compound interest. If the REPAYE program didn’t exist, then this would be vastly more compelling. That said, refinancing while still in training is a thing, and if you’re positive you want to be in private practice, you should at least consider it. Keep in mind that if you pull the trigger and refinance, you will not be eligible for PSLF or any income-driven repayment program. If you’re looking for a 5-year term to pay off your loans as rapidly as possible, I don’t expect Laurel Road to show up in the top 3. Like I mentioned, I believe Laurel Road as a bank has a strong preference for longer-term debt. I think they intentionally make their 5-year term offers decent but not market leading. If you want to refinance with a 5-year term, I’d look to another lender like Commonbond, Earnest, or LendKey for that. They are generally quite competitive for 10-year fixed rate offers. Some parents want to keep the loan in their name and pay it off over time, while others are eager to have their child take over the debt once he or she has a stable job and can afford the payments. Regardless of what path you take, refinancing Parent Plus loans is usually the way to go because the interest rate is sky high and forgiveness is very difficult to achieve since ICR is the only option and that’s 20% of your income. Laurel Road will allow you to refinance the Parent Plus loan in the parent’s name or convert it into a loan in the child’s name. Not every lender can do this, so it makes Laurel Road stand out. If you really need a cosigner to close a loan, I would look elsewhere than Laurel Road simply because it takes 36 months of on-time payments to be eligible for a cosigner release. Then the release is granted at the discretion of the company and is not automatic. Hence, any borrower who adds a cosigner should know that the cosigner is going to probably be on the hook for the entire time you’re paying the loan back. If that’s acceptable to you then great. However, there are better cosigner release programs out there and if you apply around enough you might get an offer in your name alone. Different lenders have different underwriting policies, so if you get rejected apply around to other lenders first before adding a cosigner. Any Late Fees or Borrower Protections With Laurel Road? The late fee for being 15 days late with a payment is only $28, which is incredibly low for a big student loan. If you lose your job or have an unpaid maternity leave, Laurel Road will let you pause payments for three months at a time and 12 months total over the life of your loan repayment. While Laurel Road always forgives loans in the event of the death of a primary borrower, the latest terms specified that they held the option to forgive loans in the event of disability on a case by case basis. That means you’re almost surely not going to get forgiveness as a surgeon that can’t operate anymore if you can still work in another capacity. That would probably be the same as the federal system since you must be “totally and permanently disabled” to qualify for discharge. The simple answer here is to have enough term life and disability insurance so that your family doesn’t have to worry. These are protections you should have in place anyway. The savings you get from the lower interest rate would more than pay for top-notch insurance protection. For term life, I got a low-cost policy at Haven Life for $1 million. For disability insurance, I’d work with someone who sells that exclusively because they’re more likely to be experts in it. How Do You Apply to Refinance with Laurel Road Student Loan Refinancing? The application process is fairly easy. First, you just visit the website. Upload documents including the payoff statement from your current servicer. Laurel Road can help if you get confused. 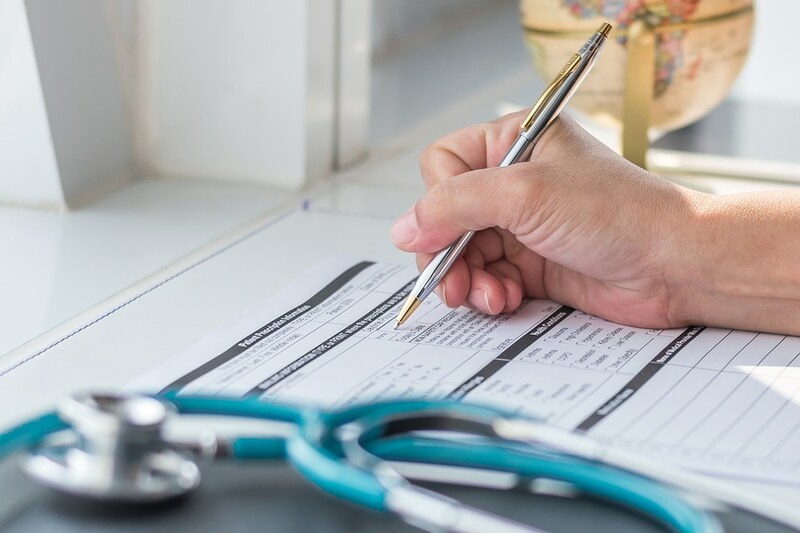 Other docs they need include proof of income (W-2, offer letter, or P&L), proof of education (usually easily certified), and proof of your identity. A typical time frame from starting an application to receiving funds is anywhere from 14 to 30 days. If you take the time to get everything included in the application and call them if you have any trouble, you should have no issues finding out your rate offer. The student loan refinancing market is fiercely competitive, and I don’t expect all the lenders that are around today will survive long term. Luckily, Laurel Road’s bank structure insulates it from the forces facing other companies, so I expect they will always be around in the student loan world in some capacity. Laurel Road’s bread and butter are physicians, dentists, pharmacists, veterinarians, and other healthcare professionals. They also focus heavily on residents and fellows. As other companies come out with resident and fellow refinancing products, I expect Laurel Road will improve their offers to retain their brand value as being known for offering this service. I’d expect Laurel Road’s customer service and website to continue to improve. They deserve credit because among banks they are by far the most digitally enabled and easy to work with. Can I apply if I’m not a medical professional? Yes, everyone is eligible to apply as long as you went to a Title IV school and graduated. Where can Laurel Road refinance? In all 50 states. Laurel Road will also refinance your loans if you live in Washington DC or Puerto Rico. Does interest capitalize on the $100 resident refinancing? No, it capitalizes once you finish training. Dental and medical residents are both eligible. What’s the minimum and maximum student loan refinancing with Laurel Road? The min is $5,000 and they have no maximum, unlike other lenders. If you find a better cash back bonus somewhere else for Laurel Road student loan refinancing, please come back and tell me about it. Get $300 to $750 for your time when you refinance to a lower rate with them. More importantly, save thousands of dollars on your student loan interest. If you’re thinking of refinancing soon, you really should include Laurel Road in the search. Any experience dealing with Laurel Road (or DRB when it was called by another name)? Let me know in the comments.